Home Is now the best time to buy new windows and doors? Is now the best time to buy new windows and doors? 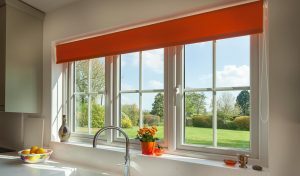 Gary Warby, Owner Premier Windows tells us why late summer is the perfect time to buy new energy efficient windows and doors. Summer is all too fleeting. The nights are already cooler and the days are shortening, serving as a gentle reminder that while there are still plenty of summer days to enjoy, autumn isn’t too far around the corner. How you feel about autumn and winter, will be defined in part by the energy efficiency of your home. Does it conjure up images of cosy nights by the fire or watching your favourite film? Or is it more creeping to the bathroom in the morning, duvet draped over your shoulders, because it’s freezing cold? Now is the perfect time to buy new energy efficient windows and doors. Old windows and doors are one of biggest drains of energy from our homes. Even double-glazed windows can sap energy and warmth from your property. New energy efficient windows and doors could mean all the difference between how you feel about your home in the months ahead and the bills that you face at its end. The window profile which our frames are made from feature six individual chambers. This internal ‘honeycomb’ is designed to optimize thermal efficiency, preventing the transfer of heat from the inside to the outside by putting multiple thermal barriers in between. There has also been massive innovation in glass. This includes the use of smart low-e coatings. Using a warm edged spaced bar these separate the sheets of glass in double and triple-glazed units to put ‘space’ between the cold air outside and warm air inside, insulating it in the process. These new generation products will help to transform even the coldest house into a cosy and secure home for autumn. Security is another key differential between older and new windows and doors. High security window and door technology has again moved on significantly featuring new multi-point locking systems plus anti-drill and anti-pick door cylinders. And right now is the perfect time to get your new windows and doors installed, saving you money on your heating bills right through the autumn and winter. This could be as much as £200 per year over old windows, depending on the new windows you’re fitting and those that are being replaced. With the cost of importing gas likely to go up with the weakening of the Pound post-Brexit referendum, energy prices could rise still further, making savings even greater in the future. From a practical perspective it’s also a good time to have windows and doors installed because the weather – dare we say it? – is more reliable. Order time new energy efficient windows and doors now and you could be swapping cold mornings for cosy nights by the end of the summer. For more information email enquiries@premwindowsanddoors.co.uk or call a member of our team on 0800 854 353.